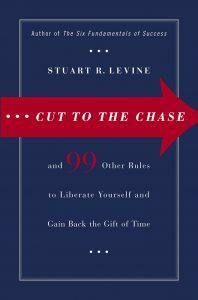 Stuart Levine & Associates’ Strategic Implementation programs are based upon these 100 concise and invaluable rules for getting things done, advancing in your career and having a more creative and balanced life. By embracing these concepts, leaders and teams have improved their productivity, effectiveness and alignment resulting in more satisfied clients and customers. (Available in Hardcover, E-book and Audio CD formats). “Invaluable leadership advice on how to become more effective and efficient!” – Edward D. Miller, President and CEO AXA Financial, Inc.
“The rule ‘You’re killing me’ alone is worth the price of admission. Half the rules in this book we use every day in serving our members and aligning our employees with our missions.” – Kirk Kordeleski, President and CEO, Bethpage Federal Credit Union. “Clear, concise, with a crucial message for anyone looking to succeed in business.”– Richard Silverman, Vice Chairman Wealth & Investment Management, Bank of America. 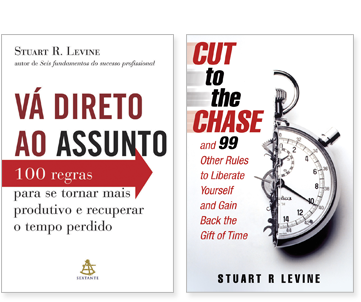 “Cut to the Chase offers 100 very useful managerial ideas in compact, punchy form. It’s terrific!” – Josh Weston, Honorary Chairman of the Board, Automatic Data Processing, Inc.
“Stuart Levine’s rules get results. This is a book to be read, re-read, and most of all, used.” – Jim D’Addario, Chairman and CEO, J. D’Addario & Company, Inc.